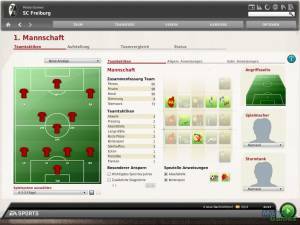 Fussball Manager 2002 is in many aspects an spiritual successor of ANSTOSS 3 with a more serious basic structure and a trimmed financial aspect. The player is responsible for the athletic and financial success of his team. For both aspects he has several options to his disposal, e.g. training, tactics, buying and selling players, merchandise or stadium expansion. 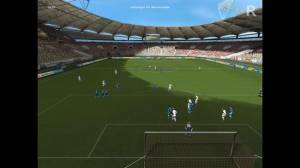 It also has a strong personal aspects because the player can work on his personal career by changing his team, improving his manager level or simply marrying. 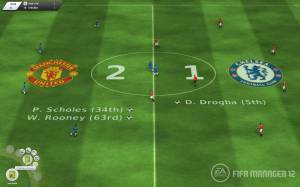 The matches are presented in a live calculated 3D presentation using the engine of Bundesliga Stars 2000. 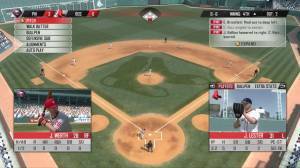 The player has the possibility to make tactical changes or substitute players during the match. Alternately match presentations are a highlight mode and a text mode. The most unique features of ANSTOSS 3 are still present in this game, e.g. the possibility to host parties to improve the team atmosphere, rule changes over the playing time or a soccer quiz during winter break. New are special player abilities which improve his overall quality, e.g. "Flügelflitzer" for a player with high speed and dribbling skill who plays at the wings. These can be specifically trained with the right training sessions.